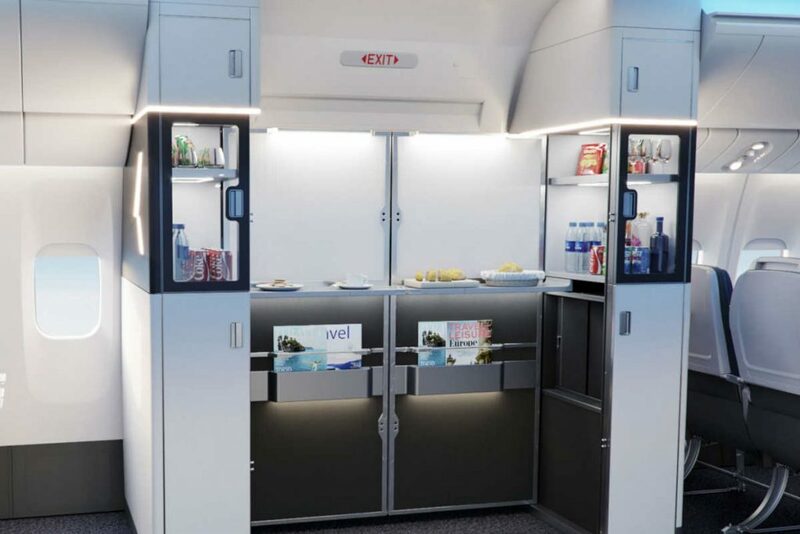 Collins Aerospace at the Aircraft Interiors Expo in Hamburg, Germany, unveiled the M-Flex Duet, a cabin monument that transforms what the company describes as a seldom optimized area of the cabin – an aircraft doorway – into a self-serve social zone or cabin attendant working area. In Germany, the company also unveiled what it describes as the first application of μLED technology to the cabin. During taxi, take-off and landing, the M-Flex Duet monuments are stowed and meet all regulatory egress requirements. During flight, the units unfold to stretch across the doorway providing a stand-up, branded and self-serve area. Because the M-Flex Duet monuments fit within standard monument footprints, they can be installed as a line-fit and retrofit solution. M-Flex Duet will launch later this year. Collins’ new μLED Reading Light is designed to offer longer-life with greater weight savings. It is a small reading and dome light that works in unison with the cabin lighting system to create scenes that add to the general cabin. Collins explains, for example, an airline may choose a bright dome light for boarding or a smaller, dimmed light for night time. This technology can adapt to different applications from a large spot, small target, nonstandard and non-uniform shapes, as well as multi-passenger applications. The company states its μLED Reading Light has a lifespan of 40,000 hours higher than standard reading lights, while one μLED Reading Light is equivalent to three or more standard reading lights. As a dome light, with full-color options, μLED can illuminate a row of tray tables and the passenger floor area, eliminating the need for sidewall lighting. Collins states the reduction in multiple lighting elements not only drives down weight by at least 66 per cent, but it also results in significant cost savings. 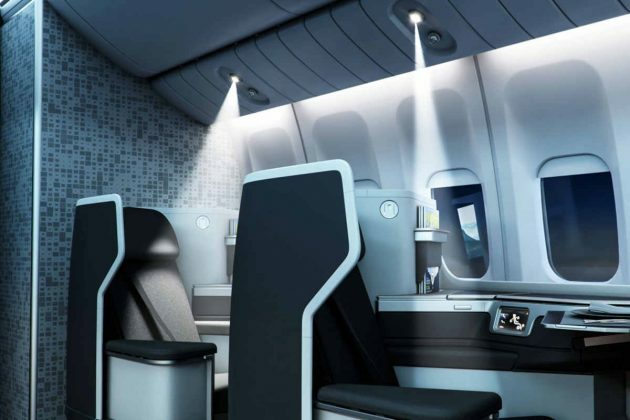 “In the long run, μLED Reading Lights can not only save airlines operational costs, but can provide passengers a more individualized lighting experience throughout each portion of their flight,” said Steve Scover, GM of lighting solutions, interiors, for Collins Aerospace.